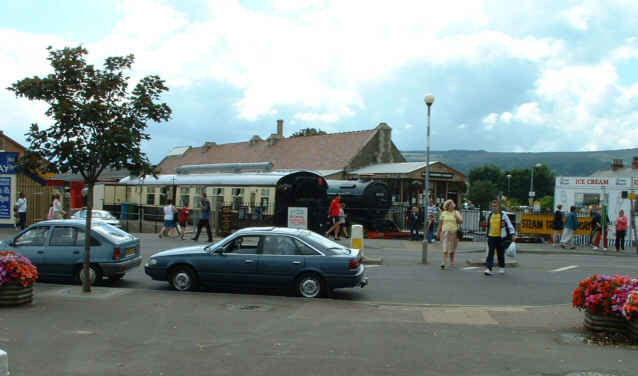 Minehead is the principal station on the West Somerset Railway, with the main loco depot and works, carriage sidings and works. 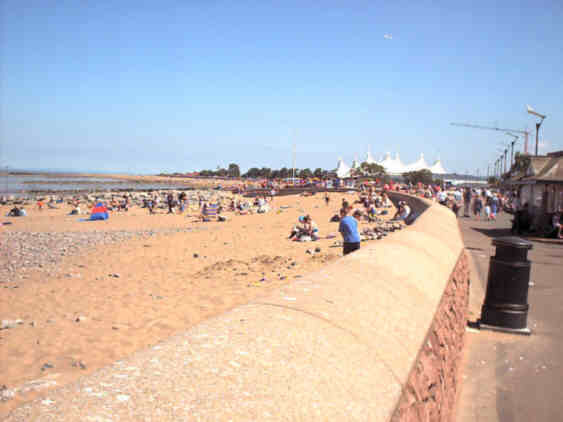 But it is also on the sea front of a busy sea side resort, nearby is a Butlin's holiday camp which can cater for some 10,000 guests. Despite this the main traffic flow on the line is to Minehead in the morning back to Bishops Lydeard in the evening. 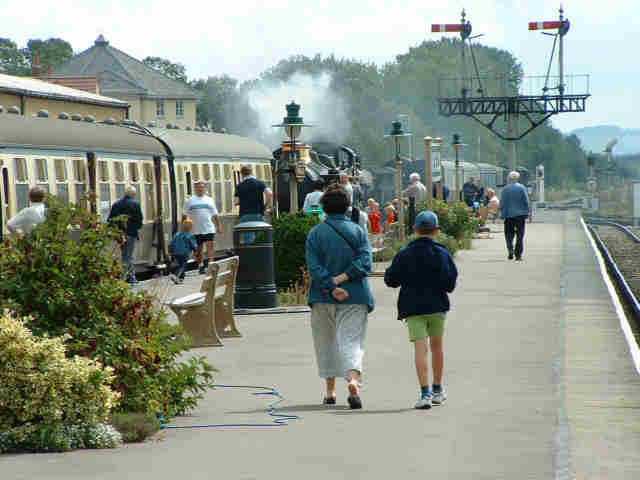 The view of a passenger leaving the train at Minehead, North Hill, in effect the start of Exmoor, can be seen beyond the engine. 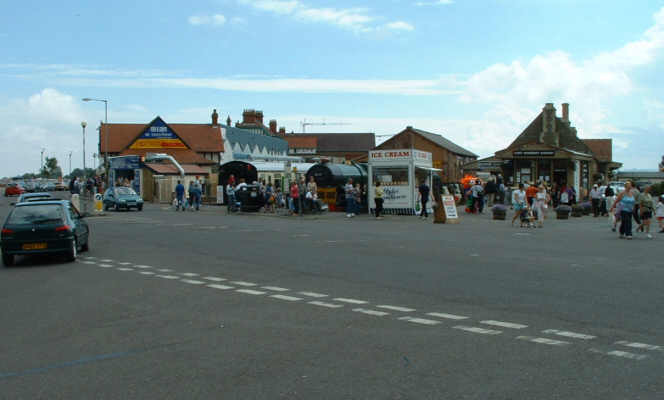 As you leave the station you can see North Hill in front of you. Cross the road and this is the view along the beach towards North Hill and the Harbour. 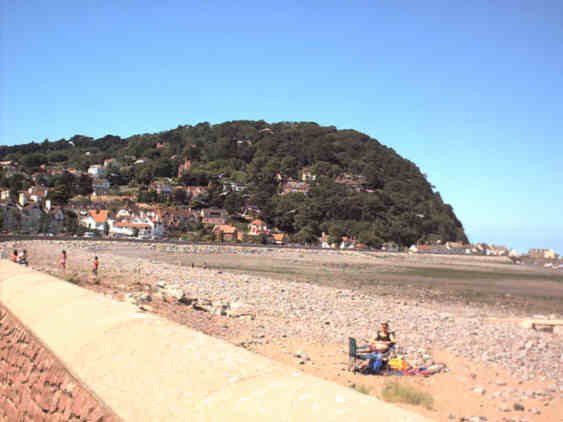 Minehead Harbour nestles under North Hill at the end of Minehead beach, this view was taken from near where the paddle steamer Waverly and its companion vessel the Balmoral tie up when they visit. If you look the other way along the beach Butlin's can be seen - the white structure in the distance is part of their site. The station as seen from the sea front, the carriage is a fixture, used as a buffet, alongside it you can glimpse 6024 King Edward I resting between days in service, serving as a magnet for passers by to look at. 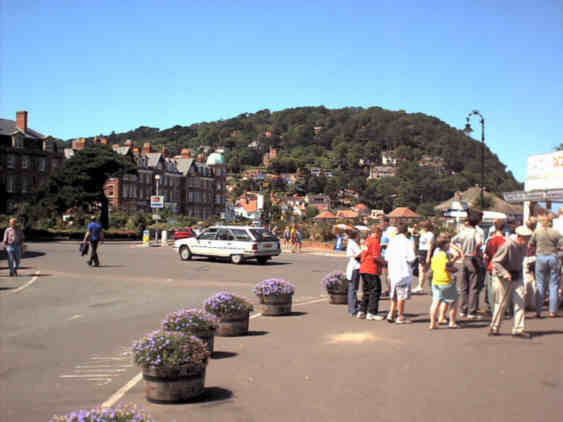 Another view of the frontage on to the main road along the seafront. 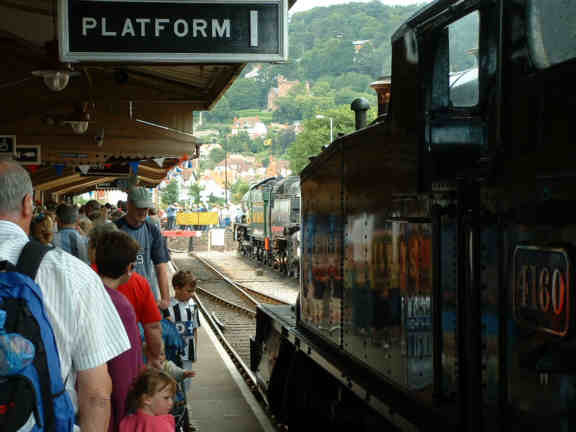 Back on the station, a busy scene as the loco runs on to its train ready to return to Bishops Lydeard. 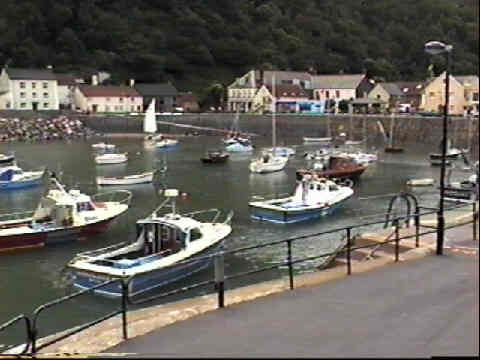 There are more photos of Minehead Harbour and views across the bay on my travel site. More photos will be added of the station and its buildings soon, so come back again!